New grand-scale campaign pack launches on 30 November, joined by free Power & Politics update. It is the crisis of the third century. 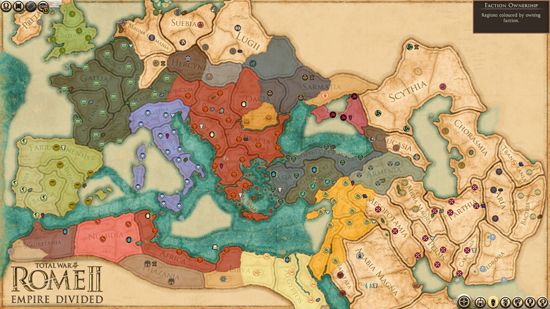 A string of inept emperors and usurpers vying for power has torn the Roman Empire into three factions, and with barbarians and eastern Empires ready to exploit the chaos, it’s time to do-or-die. On 30th November, players can reunite the empire or tear it down in this new, grand-scale campaign pack for Total War: ROME II. 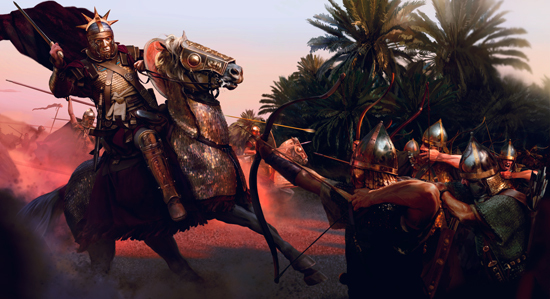 Total War: ROME II - Empire Divided features a host of new content to give a new lease of life to ROME II, including 10 different playable factions, new victory conditions and new campaign features such as plagues, cults and banditry. Empire Divided also has a big focus on telling the stories of the characters and powers involved in this rich and fascinating period. Also joining Empire Divided on 30th November is the free Power & Politics patch update. This update overhauls ROME II’s political system to create a more subtle and intriguing experience with farther-reaching consequences.